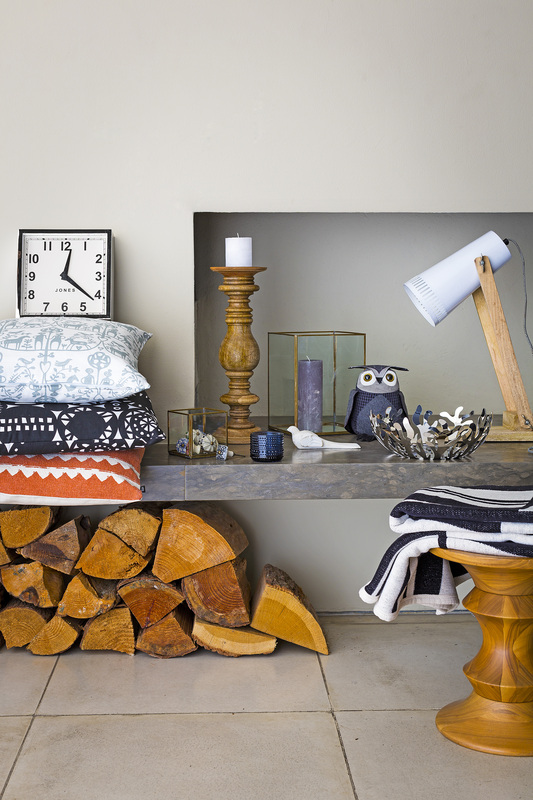 It’s easy to see why the trend for Scandi living is becoming so popular. Clean lines, natural materials and simple yet beautiful design combine to make amazing spaces. Get the look with a mix of wood, glass and stone, offset by coppery metal accents, patterned textiles and a neutral colour palette. 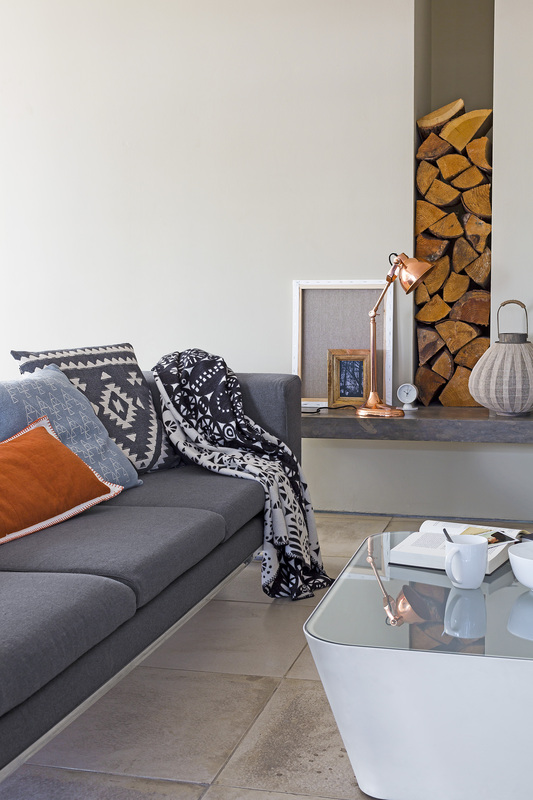 This look was achieved with a super cosy Bocasa Throw in a wool-cashmere mix; a Nordal Campus Copper Table Lamp, adding a warm metallic tone to the cool colours of the room; and cushions with simple geometric prints, like this Raine & Humble Aztec design. For a colour scheme, think creamy Nutmeg White, Misty Mountain and Perfectly Taupe – all from Dulux. Don’t forget to look out for clean, simple shapes, from the modern – like the Alessi fruit bowl in stainless steel, to the traditional – like the Klippan Adam and Eve Cushion Cover (both pictured). This entry was posted in Talking Ocado and tagged Bocasa, colour scheme, cushions, Dulux, European style, furnishings, homes, homeware, inspire, interior design, Klippan, lighting, Nordal, Nordic, Ocado, Ocado deliveries, ocado.com, Raine & Humble, Scandi style, Scandinavian, shopping, Shopping at Ocado, throws by Ocado. Bookmark the permalink.